Even if it wasn't a sequel to one of the biggest game-changing blockbusters in cinema history, Jurassic Park III would still stand as a bellwether for the state of popcorn flicks circa 2001. A modicum of heavily rushed (yet ridiculously detailed) exposition begets a daisy chain of action setpieces that showcase the awkward growing pains of early 21st-century CGI. It's a cinematic how-to manual that gives its audience exactly what it wants, and none of what it doesn't already expect. 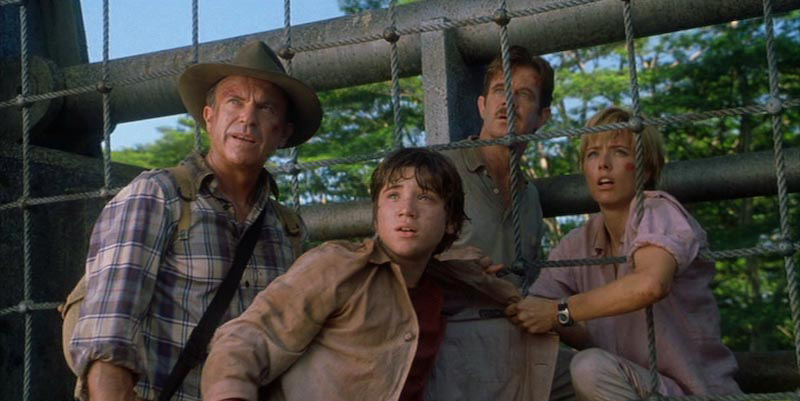 As moviegoers prepare for a return to prehistory in the series' fourth installment, we invite special guest Daniel Borders-Ashe to investigate whether the Jurassic Park III formula still satisfies.